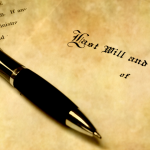 Is writing a will on your “to do list?” We are currently offering these sessions in partnership with Latrobe University Law School and Whittlesea Community Legal Service. If you need to get your affairs in order we can help – and it’s FREE. ** You must be over 18 to participate and we cannot assist with Trusts.